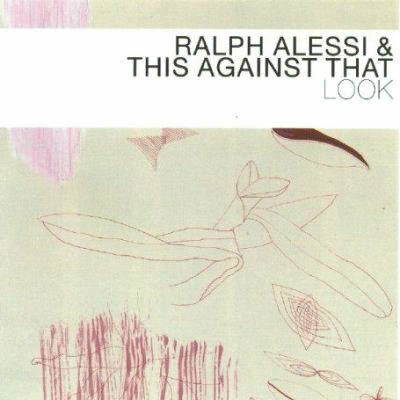 “Clown Painting,” the industrial groan that opens Wiry Strong, announces that trumpeter Ralph Alessi and his This Against That quintet aren’t sugar-coating their third album. But most of the album has far more melody and form (though similarly outré motifs occur in short bursts throughout), and if it still challenges the ear and defies convention, none of it is less than compelling. It’s no coincidence that four quintet members-Alessi, saxophonist Ravi Coltrane, pianist Andy Milne and bassist Drew Gress-paid dues with Steve Coleman (though it is surprising that the drummer, Mark Ferber, is the exception). Their music’s angularity has M-Base stamped all over it. That includes oblong and modulating meters (“Station Wagon Trip,” “Medieval Genius”), but also irregularities of structure such as “Sock Puppeteer,” a three-part tune with inconsistent lengths and rhythms. The melodies aren’t much easier; some, like “A Dollar in Your Shoe” and the marching “Bizarro-World Moment,” barely have tonality. What they have is intrigue. “Station Wagon Trip” is programmatic, documenting a long car ride’s progression from anticipation to madness. And deep in the sequence hides “Cobbs Hill,” a 4/4 tune with a belligerent but inviting theme and harmony. Difficulty notwithstanding, the band remains unfazed, approaching every odd turn as if it were entirely natural. There’s no grace in the erratic dance that opens “20% of the 80%,” for example, but Alessi, Milne and Gress play it light and jaunty. Likewise, Coltrane and Alessi’s unison on “Halves and Wholes” stays clear and open even as the rhythm section engulfs them in murk. It doesn’t increase the album’s accessibility, but it does heighten its seductive power.